Altitude Software, a global provider of omnichannel solutions to deliver great customer experiences, today announced that it is joining the Middle East Contact Centre and Customer Experience Conference to be held in Dubai from April 24 to 25, 2018. As most countries in the MENA region have embarked on a range of reforms to diversify their economies, companies in the region are looking for ways to boost customer experience and optimize operating expenses so as to ultimately maximize business in real time. Altitude shall address this paradigm shift at the MECC and CX 2018 Conference showcasing a broad spectrum of innovative AI-powered customer engagement solutions. 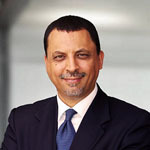 “True blending of all communication channels, mobile app integration, visual IVR as well as chatbots and gamification tools are just a few of key customer interaction management features which help contact centres meet the ever growing digital consumer’s behavior and expectations,” said Riadh Boukhris, Altitude Software President MENA. This bears out various analysts’ reports highlighting that AI is finding rapid uptake as a tool to provide better customer service and predicting that in the near future the use of virtual customer assistants, also called virtual agents or chatbots, will increase by 1,000%. ‘’More and more, any business that will only manage its customer service through emails, traditional IVR or phone calls will become irrelevant. Chatbots but also self-service visual IVR really can close the gap between companies and todays’ consumers,’’ added Boukhris. Altitude Software has entered 2018 with continued revenue growth reflecting significant increases in contracts with new and existing customers across the Middle East & North Africa region. The European vendor has a direct presence in UAE and a strong partner network that covers all country markets in the Middle East & North Africa region, with leading customers such has ETISALAT (UAE), Transmed (KSA), Extra (KSA), STC (KSA), SMC Hospital (KSA), Tamkeen (Bahrain), First Abu Dhabi (UAE), AUDI Volkswagen (UAE), ADIB (UAE), Nestle Waters (GCC) and Warba Bank (Kuwait). Altitude Solutions are focused on increasing business results and customer satisfaction, through a complete, feature-rich omnichannel solution. Features include agent and supervisor web desktop, omnichannel support, outbound and inbound tools including intelligent routing, recording, visual IVR, automated agents, full customization, with TCPA compliance and SSL encryption.